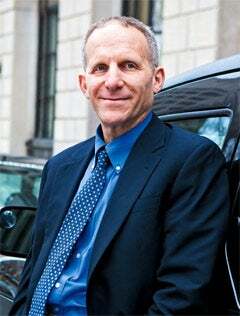 Driver's Seat: Jay Soled, a professor of accounting and information systems at Rutgers University, offers tips on claiming vehicle usage as a business expense. Q: It's tax season--time to ponder that annual conundrum: How much of my vehicle usage can I claim as a business expense? A: The IRS code governing vehicle use runs roughly the length of "Infinite Jest." But it doesn't have to be that complicated, says Jay Soled, a professor of accounting and information systems at Rutgers University, who has testified before Congress on tax compliance issues. "The problem is the rules are a morass," Soled says. So let's break it down. Like all taxpayers, entrepreneurs who use their car, truck, minivan or rickshaw for business purposes may be eligible to claim a deduction or exclude the value of said vehicle from their income. This is typically done in one of two ways. If you own the vehicle, the most common method is known to the bean counters at the IRS as an accountable plan, which is akin to an expense account. You drive your vehicle for work purposes, keep track of the costs incurred while doing so and seek reimbursement. We're talking about tolls, parking, gas, car washes, mileage, maintenance and repairs. Sorry, but the tax code does not permit deductions for commuting to work, which is considered a personal use. Typically, Soled says, you submit these expenses to your employer, and the employer ponies up. (In the case of an entrepreneur, the employer might be an S Corporation, an LLC or another such business organization.) Of course, as an entrepreneur, you might also be responsible for verifying your employees' expenses--that is, confirming that their expenses resulted from a bona fide business use. As Soled says, "It's supposed to constitute a checks-and-balances system." In the second scenario, an entrepreneur may supply an employee with a company-owned vehicle. The employee keeps track of the time he or she spends driving the car for business and personal use. The time spent using the car for business purposes should not be considered as income, but the employee's personal use of the car must be considered income (based on the fair-market annual lease value of the car). For example, you provide an employee with a car that has an annual lease value of $20,000. If the employee spends one-quarter of his or her driving time for personal use, the employee must claim $5,000 as noncash income. Those are two common ways in which vehicle claims are considered for tax purposes--the easy part, if you will. In reality, it can get more complicated. What if an entrepreneur drives to more than one job site? Or to two different jobs? "It's not black and white," Soled concedes, "and it's hard for the average taxpayer to decide." Which might help explain why compliance with IRS rules on autos is less than perfect. When the risk of an audit is 1 percent, Soled says, many taxpayers are content to bend the rules and take their chances. We would go on, but we've run out of room. What, you were expecting David Foster Wallace?